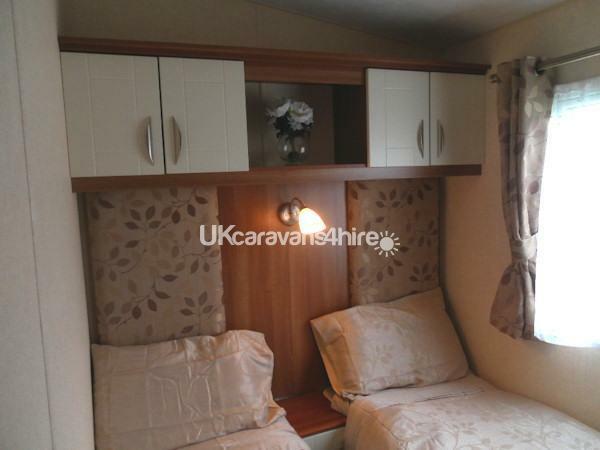 Our 2012 model ABI St David caravan is located on the Primrose Field development, close to the play area and with fields to the front. There is parking for 2 cars, and a large grassed area. 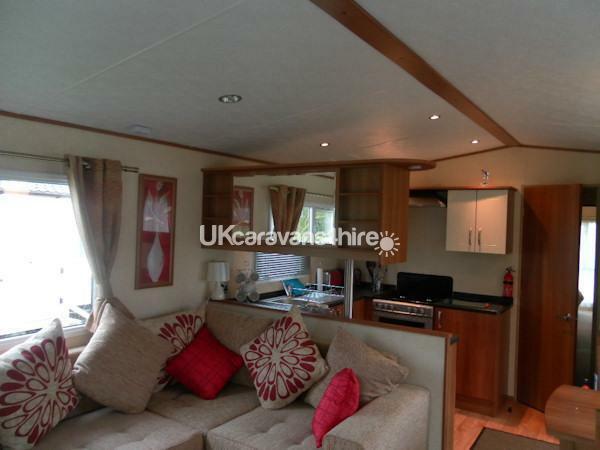 The caravan is fully double glazed and central heated throughout with a gas fire in the lounge. Included are tea/coffee/sugar, all condiments, and toilet rolls. Also included are a selection of DVD's, games and books. 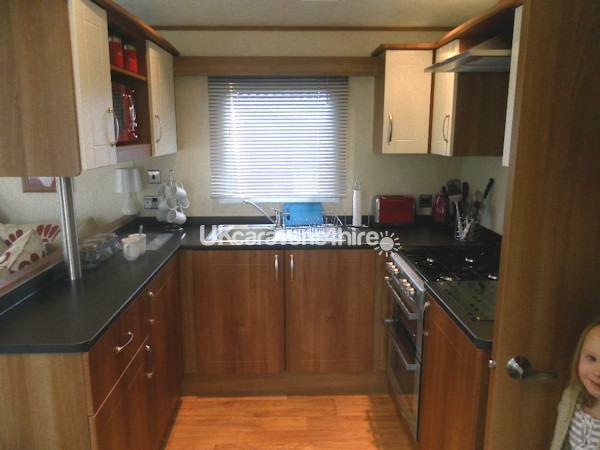 There are three bedrooms, one double with en-suite wc/washbasin and two twin rooms. 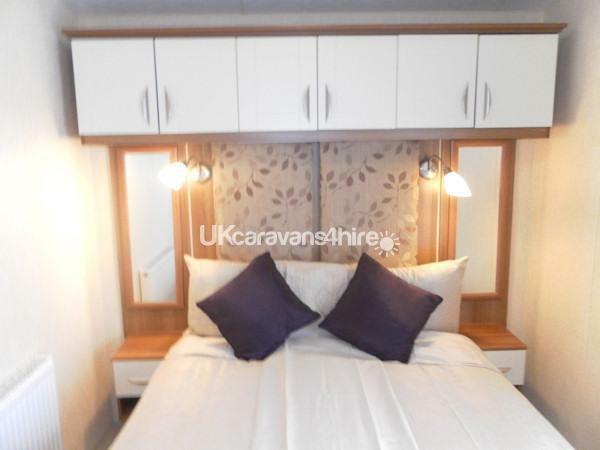 There is a separate shower room (with power shower) and toilet, together with fully fitted kitchen including large fridge freezer, kettle, microwave, toaster, iron and ironing board and a full range of utensils. There is some cleaning equipment available should you require these, plus a travel cot and a safety gate. In the lounge there is an 42 inch LCD TV with freeview built in, dvd player and cd player, plus both bedrooms have 22 inch lcd tv with dvd built in, as well as extra personal touches to make you feel at home. Duvets and pillows are included, however bedding packs are available to hire (£20 and beds made up ready for your arrival), or you are welcome to bring your own. Gas and electricity are included in the price (except for long stays in the winter). Funworks passes are not included in the price, but details/order forms will be sent out after final payment has been made. Lettings are Friday to Friday, but long weekends/midweek breaks can be booked. 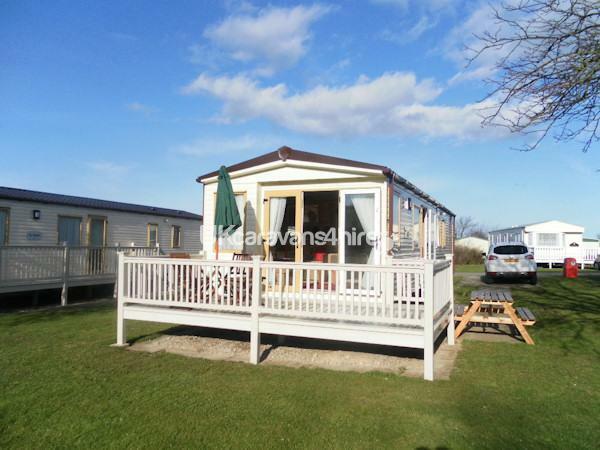 Location: Primrose Valley Holiday Park is one of Haven's 5 star flagship parks with plenty of amenities for all the family. 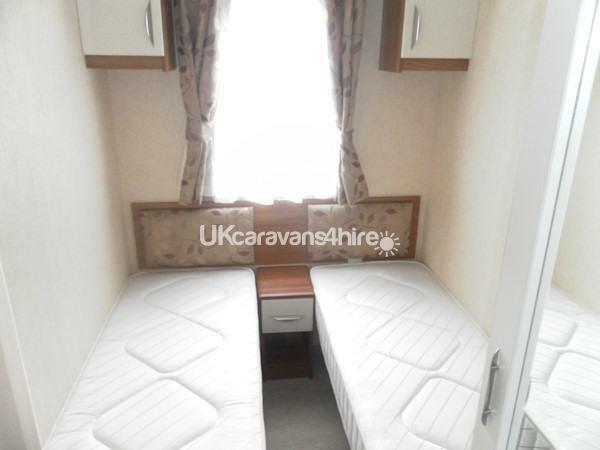 Located mid way between Scarborough and Bridlington it is an ideal location to explore the east coast. The Victorian town of Filey is an enjoyable walk along the beach or across the clifftops, with a regular bus service from the site to local towns. Primrose Valley amenities include: direct beach access, climbing walls, Lazer Quest, funfair, go karts, dry ice skating, abseiling, mini fencing, football, judo, archery, tennis, fishing and a boating lake. There are also 2 show bars, a sports bar, Starbucks coffee shop, Papa John’s Pizza’s, 2 cafe bars & grills, Burger King, fish & chip shop, convenience store with bakery, off licence & gift shop, launderette and Rory store. The on site, state of the art pool complex includes: large multi level heated pool complex with fun pools and SplashZone, 2nd heated indoor swimming pool, 2 heated outdoor swimming pools, water dodgems, aquajets, surf rider, and water tots. The city of York is only an hour’s drive away with many attractions for all the family.